Aficionados adore traditional English tea. It’s a great way to celebrate someone special with delicate finger sandwiches, scones, and tea cakes, not to mention Devonshire cream, lemon curd, miniature petite fours, profiteroles, and a pot of tea. And thats where we come in! 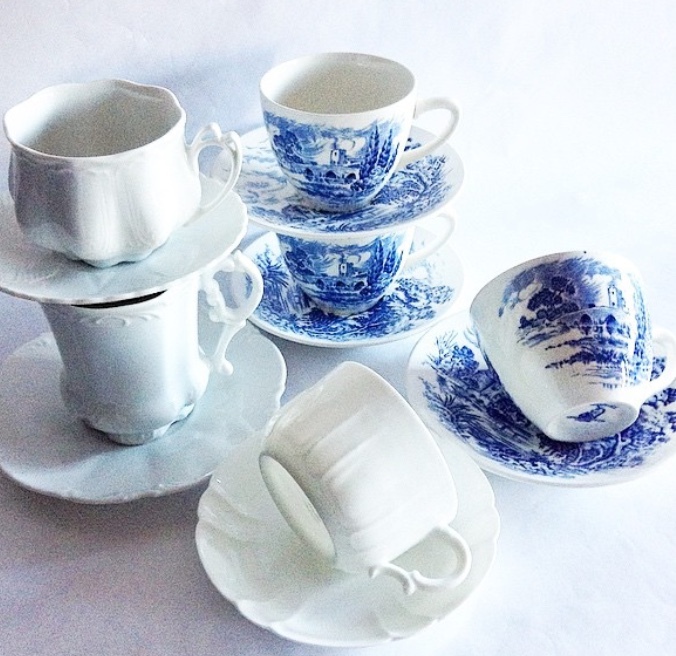 We provide lovely vintage china, silver or gold flatware, teacups & saucers, tiered cake plates, sugars & creamers, crystal or glassware and finally, the vintage china or silver teapot! Rental Cost with Tempest In a Teapot Package = $346. All packages are discounted 15% which makes this package $294 + tax + shipping or delivery. Rental Cost with Blu-tiful Mess Package = $346 All packages are discounted 15% which makes this package $294+ tax + shipping or delivery. Rental Cost with Our Cup Runneth Over Package = $877 All packages are discounted 15% which makes this package $745 + tax + shipping or delivery.